The last phrase answers the question. Ignorance breeds fear, which breeds hate. Lee would prefer to blame what she calls the racist strategy of the Republican Party for the expression of such attitudes, but there is a more fundamental reason: Many white Americans live in places that are almost entirely white, and where a majority of adults have never been to college, which is the great cultural diversity experience for many Americans from such places. 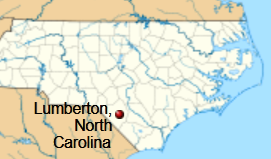 It did not mention the election, but six days after it, The Robesonian newspaper in Lumberton, N.C. (Wikipedia map), announced that it would "no longer allow comments that are racial on stories that do not have a racial element that have been posted on the newspaper’s website," and that "The problem has escalated in recent weeks." North Carolina was a contested state in the presidential race. The lame-duck session of Congress may grant the U.S. Postal Service its wish to end Saturday mail delivery, the executive director and chief lobbyist for the National Newspaper Association said this afternoon. 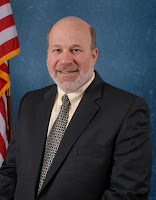 Tonda Rush said in an email that retiring Sen. Joe Lieberman of Connecticut "is looking toward removing requirements in the law that would then enable USPS to wind down 6 day delivery. Earlier USPS had said it would take 6 months to do so, but with its current financial stress, it would be expected to move as quickly as possible." Rush said the postal service is now saying it would continue Saturday delivery of packages, a line of business on which it makes money. The initial action would likely take place in the House, which has not acted on a postal reform bill that the Senate passed with NNA's support a few months ago. "Reps. Sam Graves and Jo Ann Emerson from Missouri and Rep. Gerald Connolly from Virginia will be offering an amendment to preserve 6-day mail when the bill comes to the floor," NNA and other lobbies say in a draft letter to House members, being circulated for signatures. A provision allowing the service to deliver first-class mail only five days a week "will fall short of delivering the cost savings the USPS leadership has projected, and will, instead, further accelerate the decline in Postal Service volume and revenue, likely wiping out or exceeding the purported cost savings," the draft letter says. It notes the unanimous opinion of the Postal Regulatory Commission, which reduced the estimated savings to $1.7 billion from $3.3 billion "and noted a disproportionate impact on rural postal customers," Rush writes. It "becomes the first U.S. coal operator to announce plans to abandon mountaintop removal, a controversial practice linked to serious environmental damage and coalfield public health problems," Ken Ward Jr. writes for The Charleston Gazette. "Patriot can continue some existing and smaller mining projects, but must also implement a cap on surface production and eventually stop all strip mining when existing coal leases expire." 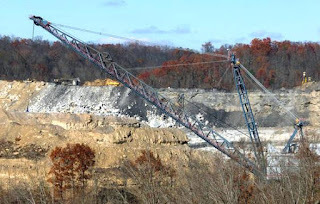 Patriot made the deal with environmental and citizens' groups that had sued in West Virginia federal court to make the company stop polluting water with selenium, a metal released by large-scale strip mining, and clean up the pollution. "Patriot had already agreed to a deal to clean up dozens of illegal selenium discharges at three major mining complexes in southern West Virginia," Ward writes. "But since filing for bankruptcy reorganization in July, Patriot has been at odds with citizen groups over the company's efforts to delay its compliance deadlines. The settlement gives Patriot the additional time, bumping back compliance deadlines from May 2013 until August 2014." Patriot CEO and President Ben Hatfield said in a news release that the company will now be able to defer up to $27 million of compliance costs to 2014 and beyond, "which improves our liquidity as we reorganize our company and increases the likelihood that we will emerge from the Chapter 11 process as a viable business." Joe Lovett, an Appalachian Mountain Advocates lawyer representing the Ohio Valley Environmental Coalition, Sierra Club and the West Virginia Highlands Conservancy, told Ward, "Patriot's decision that mountaintop removal and other large surface mines are not in its best interests is the inevitable conclusion for any mining company that actually has to pay the costs of the environmental harm it creates." Wendell Berry: Our present agriculture is in a constant state of emergency. We can change that. There is human instinct at work here and Berry gets it. But the land isn't so understanding. "A good or a sustainable farm cannot be made in this way. Its parts, even its industrial parts, can be made coherent and lasting only in obedience to the natural laws that order and sustain the local forest or prairie ecosystem. This obedience is not just an option," he writes. "It is a necessity. By ignoring it, we have condemned our land to continuous waste and pollution, and our cultures of husbandry to extinction. If we hope to correct the consequent disorder, which is both human and natural, we have to begin by recognizing the fundamental incompatibility between industrial systems and natural systems, machines and creatures." Republican presidential nominee Mitt Romney was the overwhelming choice of voters in counties that receive the biggest federal farm subsidy payments, even though his campaign resounded with demands to end America's dependence on big government, Bloomberg Businessweek reports. The magazine's government analysis team ran the numbers this week and it found that nine of the 10 counties collecting the most in farm subsidies last year backed Romney. It determined that Stoddard County, Mo., a rice, corn and cotton producer in the southeast part of the state, voted for Romney over President Obama by the biggest margin, nearly 3 to 1. 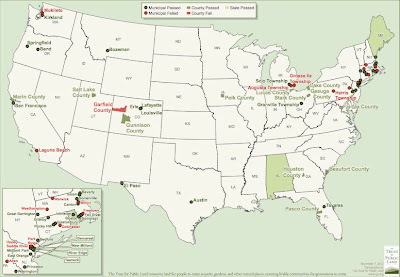 Farmers in that county got $13.5 million in farm subsidies in 2011, ranking seventh nationwide. Of the top 10 counties, Colusa County, Calif., received the most, at $19 million in 2011. 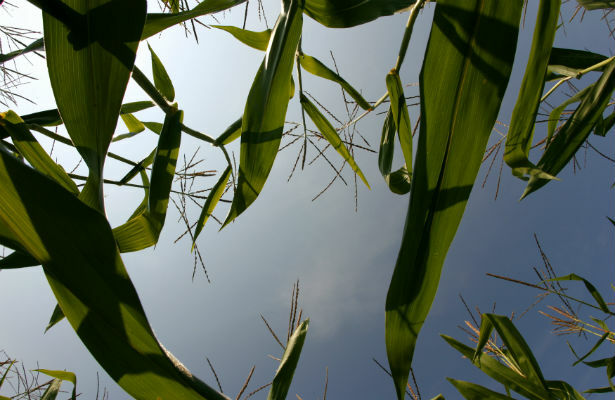 The payments don’t include crop insurance indemnities that fluctuate widely among regions from year to year because of weather disasters, explained Bloomberg's Alan Bjerga. The Dust Bowl of the 1930s left an indelible mark on rural America. It is the drought against which all others are measured, writes Grant Gerlock of Harvest Public Media. And it was, of course, a man-made disaster, "an environmental catastrophe of Biblical proportions," he writes, replete with swarms of insects devouring the landscape. This weekend, renowned filmmaker Ken Burns will present "The Dust Bowl," his four-hour look back on the devastating years that changed lives, land and the history of the nation. Told largely through the stories told by surviving farmers, the documentary unfolds from the first words, "Let me tell how it was..." The film and the farmers' stories hold lessons for today, notes Gerlock. The dust came from exposed wheat fields "plowed up in the 1910s and 1920s in a land rush spurred by high wheat prices and government homesteading programs," Gerlock explains. 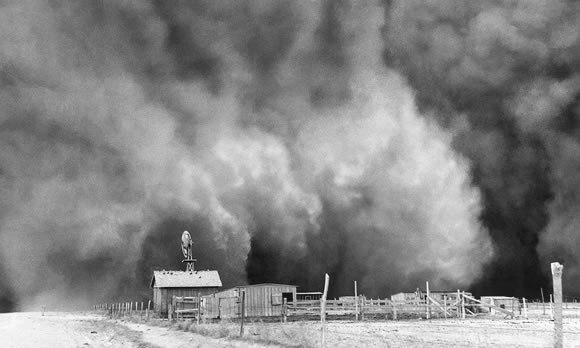 When the drought began and the winds picked up in the 1930s, enormous dust storms rolled through the southern Great Plains, causing severe economic and environmental damage. Farm communities in the Texas and Oklahoma panhandles and Kansas were hit. Crops and cattle died and innumerable other livestock perished. On April 14, 1935, Black Sunday, experts estimate a single dust storm displaced 300 million tons of dirt. Children choked. The end came in 1939, but not until many Midwesterners had packed up their family and gone West to find better lives. To prevent another such devastating event, the Roosevelt administration conservation programs were installed that continue today. "The Dust Bowl" premieres Sunday, Nov. 18, from 8 to 10 p.m. on PBS stations nationwide. It continues Monday, Nov. 19, from 8 to 10. For more information, go here. The U.S. Senate approved the Whistleblower Protection Enhancement Act, which provides greater protection to federal employees who report "waste, fraud and abuse in government operations," reports Meatingplace, a trade journal for the meat industry. 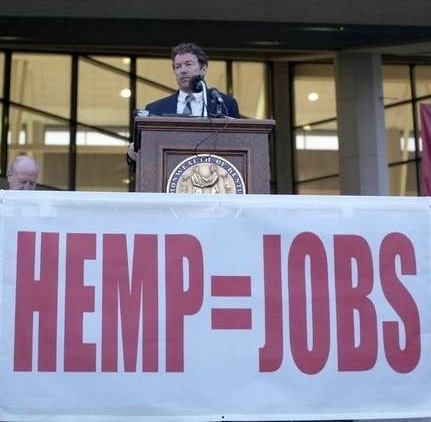 The bill passed the House in September and is expected to be signed by President Obama. The U.S. Office of Special Counsel , which will enforce the law, said its reforms "give additional tools to protect federal employees from unlawful retaliation." The writer and producer of the hugely successful miniseries "Hatfields & McCoys" are working on another six-hour project for the History Channel, about the beginnings of the Texas Rangers, says The Hollywood Reporter's Live Feed, citing an unnamed source. Producer Leslie Greif and writer Ted Mann are working on "Texas Rising," which will include including the creation of the Republic of Texas in 1836 and its annexation by the United States in 1845. The Reporter mentioned no production or telecast schedule. Republicans are reconsidering their stance on immigration reform following the presidential election, in which 71 percent of Latinos voted for President Obama. The Census Bureau estimated there were more than 10.8 million undocumented immigrants living in the country in 2010, and more than half of those were Mexican. The push for reform is in part being driven by the farm lobby, many of whose members rely on immigrant workers. American Farm Bureau Federation President Bob Stallman, right, said immigration-reform talks between congressional leaders and the Obama administration could provide a "'crack in the window of opportunity' for ag worker programs and other reforms the farm lobby wants," Agri-Pulse reports. The AFBF opposes amnesty for illegal immigrants, but supports giving some undocumented people who've worked in agriculture an avenue toward legal status. It also wants Congress to improve the federal H-2A visa program for foreign workers, heavily used by agriculture. Republican leaders, including House Speaker John Boehner, are taking note of the farm lobby's call to action, and of the fact that Hispanics are the fastest-growing minority in the U.S. Democratic Sen. Chuck Schumer said on NBC's "Meet the Press" that he and Sen. Lindsay Graham, R-S.C., are trying to continue a compromise on immigration reform, noting the importance of a strong guest-worker program. Graham said the immigration debate within the Republican Party has alienated Hispanic voters "because of tone and rhetoric," and it's "an odd formula for a party to adopt," since the party is losing votes every election cycle because of it. "It has to stop. It’s one thing to shoot yourself in the foot; just don’t reload the gun," Graham said. Agri-Pulse is available by subscription-only, but a four-week free trial can be accessed here. More than a week after the election, Congress is facing a shake-up as newly elected members travel to Washington to learn the ropes and sort out leadership positions. "One of the biggest potential 'game changers' for agriculture" in the Senate could happen if Republican Thad Cochran took the ranking member slot on the Senate Agriculture Committee from Pat Roberts of Kansas, Agri-Pulse reports. Cochran's office would not confirm that he was seeking the position, but some Capitol Hill sources told Agri-Pulse that "It's more than just a rumor," and Cochran is visiting with colleagues on the committee about the possibility. Cochran's possible putsch reflects Southern farm interests' unhappiness with Roberts' Midwest-friendly handling of the Farm Bill. "Roberts, who has frequently criticized target price proposals in the House Agriculture Committee’s version of the Farm Bill commodity title, has been a thorn in the side of several of Cochran’s Southern farm groups, including rice and peanut growers," Agri-Pulse reports. "If the Farm Bill were to be extended into 2013, which appears to be a high probability, and Cochran were to become ranking member in 2013, those same commodity groups could conceivably find themselves in a much better negotiating position. 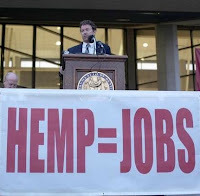 But if Congress extends the bill, Cochran would also likely have a much smaller baseline to work with for all commodity programs." Agri-Pulse is available by subscription only, but a four-week free trial can be accessed here. Local and state support for public land conservation has been "extraordinarily resilient," Kenworthy reports. The Trust for Public Land says voters have approved conservation measures more than 75 percent of the time since 1988. It says voters have voted to pay more than $58 billion in taxes since 1988 to protect land. Some example of this year's conservation measures approved by voters: Alabama's Forever Wild land conservation initiative will be extended for 20 years; Maine voters passed the Land for Maine's Future program by 62 percent; and voters in Rhode Island approved a $20 million bond to acquire farmland and protect water quality in Narragansett Bay. Other measures were also approved in 18 other states. To see if a measure passed in your state, click here. Urban gangs are migrating into West Tennessee's rural areas, creating a problem for local law enforcement, Brian Haas of The Tennessean reports. "Sometimes on the weekends, thousands [go] into those towns, partying, violence, drugs, the things that follow that type of clientele," Tennessee Bureau of Investigation Director Mark Gwyn said after a budget hearing with Gov. Bill Haslam. Gang crime has tripled in the state's rural area since 2005, "far outpacing urban centers more commonly associated with gang problems," Haas reports. Larger cities, like Nashville, have had success in reducing gang violence, but rural communities "suddenly find themselves facing gang murders, robberies and drug distribution," writes Haas. 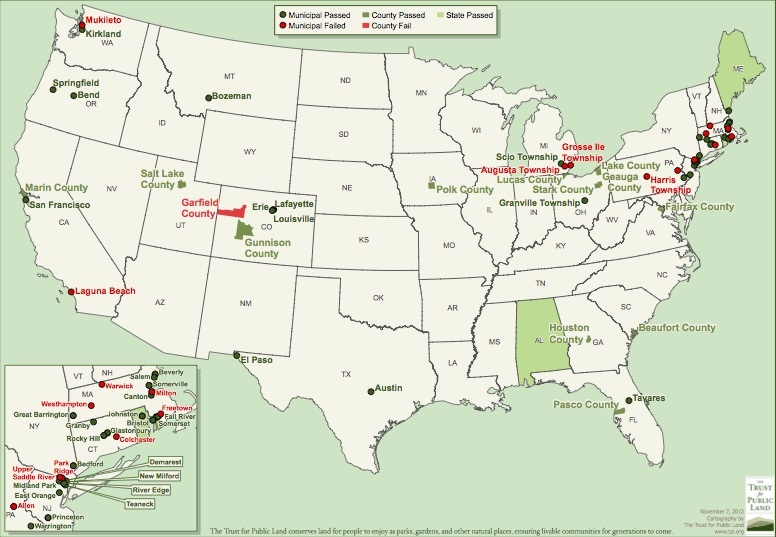 The report, "Ripe for Retirement: The Case for Closing America's Costliest Coal Plants," found that 353 coal-fired power plants in 31 states "may no longer be viable" even with upgraded pollution controls. The power they would produce would cost more than power generated by natural gas and wind plants. "Our analysis shows that switching to cleaner energy sources and investing in energy efficiency often makes more economic sense than spending billions to extend the life of obsolete coal plants," report co-author Steve Frenkel said. "Spending billions to upgrade old coal plants may simply be throwing good money after bad." The number of people in the U.S. military has decreased since 1980, but the number of veterans living in rural areas has increased over that same time, and civilians have less contact with veterans now than ever before, a new report says. 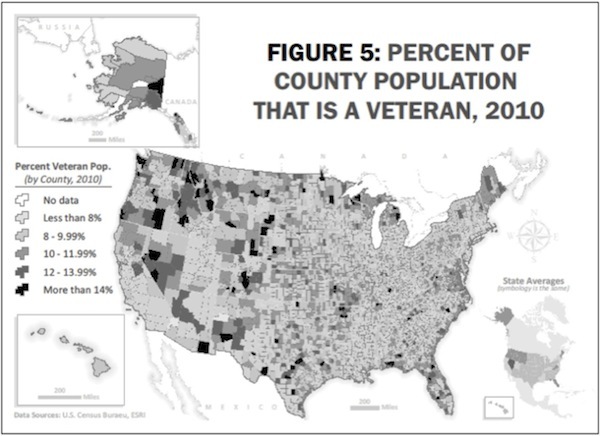 The research, to be published in the journal Armed Forces & Society, concludes that veterans are segregated into smaller areas of rural America, often close to military bases in states like Florida, Texas and Alabama, Emily Badger of The Atlantic reports. In 1980, there were more than 28 million veterans and more than 2 million active-duty service members. By 2010, the number fell to 22 million and 1.4 million on active duty, Western Washington University sociologist Jay Teachman found after U.S. Census data analysis. The U.S. population grew by 80 million from 1980 to 2010, making veterans' share of the population drop to 7 percent from 12 percent over that time. Teachman's maps illustrating the decline of veterans "suggest that service in the military has increasingly become something for rural Americans to do," Badger reports. The Obama administration has cut funding for the Bureau of Indian Affairs and reservation law enforcement, and the Justice Department has opened fewer investigations of violent felonies on Indian lands while increasing investigations in the rest of the U.S, Williams reports. 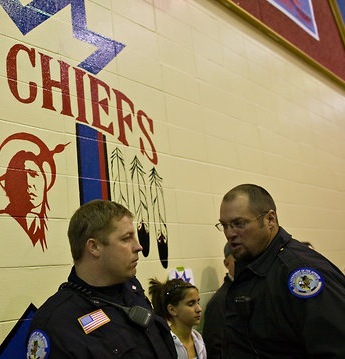 From 2000 to 2010, crime on some reservation surged by as much as 50 percent, but investigations by U.S. attorneys decreased 3 percent. But in the rest of the nation, while crime rates fell by 13 percent, federal prosecutions increased by 29 percent. A debate may be starting on what to do about Eastern Kentucky, one of the nation's poorest areas. Thomas Miller, who helped build the Kentucky Highlands Investment Corporation and founded the Mountain Association for Community and Economic Development, has written a strong response to Center for Rural Strategies president Dee Davis' October call to action in Central Appalachia. Davis said that in order for Eastern Kentucky to improve, the region needed to improve education and healthcare and fight corruption. However, Miller says it's not possible to "turn this things around," as Davis wrote. Both are featured on the Daily Yonder. shows economically distressed counties in red. Miller says significant and durable economic development, and major changes in the size and composition of the region's economy, just won't happen -- because expectations for the region are too high. "As the years roll by I am ever less able to muster confidence that we have a sufficient chance of transforming our economy in these mountains," Miller writes. "I do not encourage us to give up, but if we are to make progress we must be realistic about our expectations and pick targets we have a good chance to hit." Many of the region's ills, including education, healthcare, transportation and communications, have been remedied, he says, but there are still major economic issues that need to be addressed. "It would seem we have tried it all: 50 years of economic development involving lots and lots of taxpayer money, large scale and small spending on one program after another . . . job training to craft cooperatives, Foxfire to clean coal," Miller writes. But the Appalachian economy is still lacking and will "poised to fall into an even bigger sinkhole as our reachable coal reserves play out at the same time that coal is losing favor as a source of energy." Miller says that he doesn't advocate giving up on development in the region, just being more realistic about it, and being more in tune with modern political life. He also says an understanding of proximity and economic development is important. "I submit that in an area of chronic economic distress, far removed from cultural and economic and social attractions, where the more ambitious kids have for decades brought their suitcases to high school graduation, we might be doing as well as can be expected. . . . Our own experience of these past 50 years is not encouraging, and if we can’t find others to show us where we have been going wrong and how to get our strategies right, then we must conclude that significant and durable economic development in the mountains is not a realistic prospect. Sure we should continue to work on stuff, but we should be honest about what we promise." "Rural America seems to be the big loser in a presidential election decided by the cities," writes Michael Owens, right, of the Bristol Herald Courier. Virginia and several other swing states were decided by votes of the population centers, which voted heavily for President Obama. "In a democracy, he who has the numbers wins. It’s the tyranny of mathematics," University of Virginia College of Wise political analyst Eric Drummond Smith told Owens. “What the 2012 Elections Mean for Agriculture, Food and Rural Policies" will be the topic of the next Farm Foundation forum, to be held in Washington and webcast Wednesday from 9 to 11 a.m. EST. The panelists will be lobbyist Craig Jagger of Legis Consulting; Ferd Hoefner, policy director of the National Sustainable Agriculture Coalition; Robert Paarlberg, professor of political science at Wellesley College; Christopher Waldrop, director of the Consumer Federation of America's Food Policy Institute; Erik Johnston, associate legislative director for agriculture and rural affairs at the National Association of Counties; and John Hardin, an Indiana farmer. The forum will be held without charge at the National Press Club. Because of the increased interest, it will be webcast and archived for replay, says the foundation's Mary Thompson. To register to attend or view the webcast, click here. Will U.S. be #1 oil producer by 2017, or will forecast founder on decline in oil fracked from shale? The U.S. will overtake Saudi Arabia and Russia as the world's largest oil producer by 2017, according to a new global report. This is the first time the International Energy Agency, the developed world's most respected energy forecaster, has made such a prediction. It is "one of the clearest signs yet of how the shale revolution is redrawing the global energy landscape," Guy Chazan and Ed Crooks of The Financial Times report. The IEA said in its world energy outlook today that the U.S. will be "all but self-sufficient in net terms" by 2030, a reversal of "the trend seen in most other energy-importing countries," the report says. It also says this trend will shift the direction of international oil trade toward Asia. The increase in U.S. production comes as federal fuel-efficiency measures are set to decrease demand for oil. IEA says this will decrease oil imports, and make North America a "net oil exporter" by 2035. The New York Times' now-famous number cruncher Nate Silver predicted the outcomes of this year's elections with almost complete accuracy, but missed the Democratic victories in Senate races in North Dakota and Montana. Indian Country's Mark Trahant says Silver miscalculated because his models don't include the Indian vote. "Indian country is the smallest demographic slice of what is America," Trahant writes. "Yet when the history of the 2012 election is written, it must be said, that Indian country outperformed. By any metric." 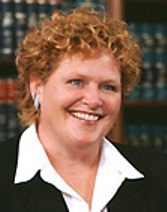 North Dakota Sen.-elect Heidi Heitkamp and Montana Sen. Jon Tester "not only understood" the importance of the Indian vote, but they "campaigned on reservations hoping that it would be the one factor no one figured," Trahant reports. And they were right. The Montana counties where Indians vote -- Glacier, Roosevelt, Blaine and Big Horn -- were won by Democrats. In Glacier County, which includes the Blackfeet Reservation, total Democratic votes were twice Mitt Romney's. Heitkamp won North Dakota's Sioux County, where 84 percent of the population is Native American, by 83.9 percent. She also won in Rolette and Benson counties, which are both majority Native American. Coal industry hopes Obama will go easier on it; might it be whistling past the graveyard? President Obama probably doesn't feel like doing any favors for the coal industry, after its "war on coal" rhetoric was used to attack him in key battleground states like Ohio and Virginia (both of which he carried), but the industry is making guardedly optimistic noises, noting Obama's support for clean-coal technology, and hoping for some leniency in water- and air-pollution regulation. Coal interests may have some reason to be hopeful, The Charleston Gazette's Ken Ward Jr. writes. The day after the election, the U.S. Forest Service ruled against conservation groups who challenged the agency's expansion of a coal-mine lease 10 miles east of Paonia, Colo. The ruling will allow Arch Coal to build 48 natural-gas drilling pads on almost 1,700 acres of the Sunset Roadless Area, a section of wild forest. Ward notes that Arch's West Elk Mine is partly located in Gunnison County, one of only two of the top 25 coal-producing counties to vote for Obama. UPDATE: Ken Ward Jr. asks in his Coal Tattoo blog, "Does the mining industry not understand who won the presidential election?" Author Barbara Kingsolver, right, is taking on climate change in her most recent novel, Flight Behavior. She recently spoke with NPR's Flora Lichtman about the book and what Lichtman calls its central philosophical question: "Why do we believe what we believe and how is it that two people can look at the exact same set of circumstances and see two completely different things?" 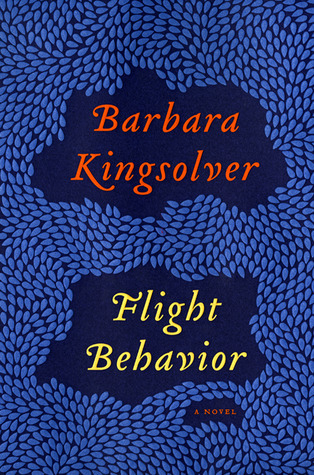 The novel is set on a farm in Southern Appalachia, Kingsolver's home region, where a shift in climate has caused monarch butterflies to settle for the first time. The butterflies normally winter in Mexico, but because of climate change, their pattern has brought them to a hilltop farm in East Tennessee. Journalists, scientists and other outsiders call the event a drastic effect of climate change, but people in the rural, conservative town see it as a miracle from God. "It's a novel in which I use this device [the monarchs] to talk about climate change, about the methods of science, because that's a really big part of this novel," Kingsolver told Lichtman. "It's really about . . . why we decide to believe what we believe and why it's so difficult for us to have this conversation about climate change."